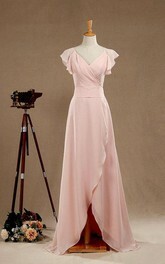 Dress like a princess on your special day with this sophisticated dress, full of charm and grace! 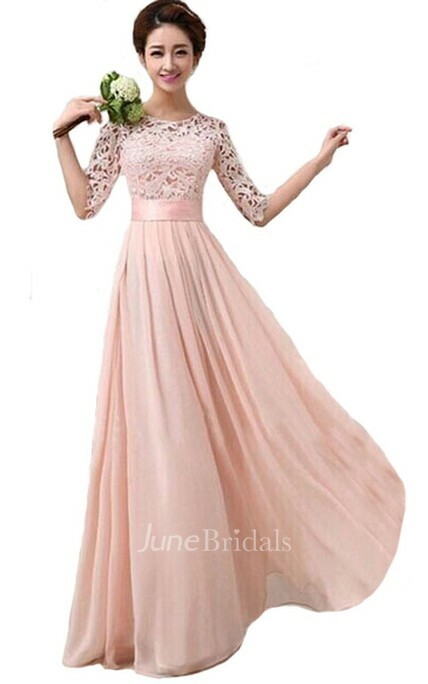 You can certainly count on this gown, with its lace bodice and satin belt, as well as its airy skirt to make you feel truly beautiful and blessed on your big day. Dazzle others and collect compliments from those around you with our scoop long gown and enjoy the best day of your life! No complaints! Everything is perfect and beautiful! 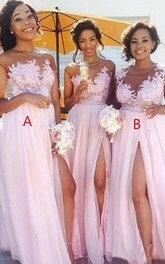 Perfect gown for bridesmaids! 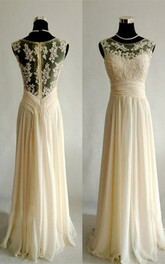 If you like lace dresses, this one is a great choice. It has fresh and bright colors to choose from. Quality is amazing too. 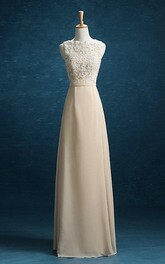 Lace bodice is what makes this long dress so special. Sleeves add a new touch to the elegant dress. 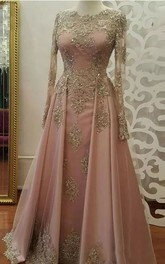 The gown is more gorgeous in person. Cut is highly flattering. Everything about the dress is perfect. I could not have asked for anything better. It is a worthy choice, specially for the price! Oh my goodness! 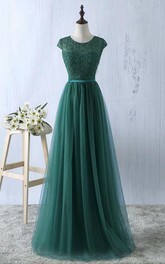 What a beautiful and fresh this dress is! It has everything that my granddaughter wanted for her prom. 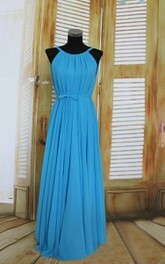 The dress came fast and required no adjustments. She will be wearing it tomorrow and I am sure she will be the center of attraction. Thanks, Newjunebridals.com! 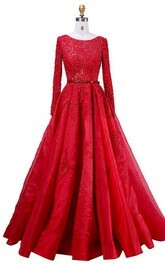 Gorgeous dress for a low price! 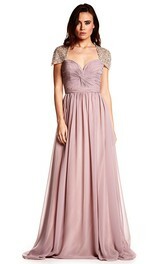 I like the lace bodice and sleeves this dress features. The fit is exactly as expected. Material is high quality and soft. I am pleased with my purchase and would certainly order more items from this seller.